Key Difference: Wine is an alcoholic beverage that is usually made from fermented grapes. However, it can also be made from other ingredients, such as fruit wines, rice wines, etc. Brandy, short for brandywine is a sprit that is distilled from wine. 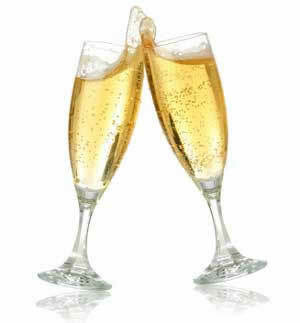 Champagne is a special type of sparkling wine that is produced from grapes grown in the Champagne region of France. Alcohol has always been a statement. It is drunk by the rich and stately to show off, and it is also drunk by the regular folks to party. In fact, alcohol is drunk at almost every party; otherwise it wouldn’t really be a party in that sense. However, there are various different types of alcohol, each being preferred over the other for a variety of different reasons. Wine, Brandy and Champagne are just three among the various types of alcohol. Wine is an alcoholic beverage that is usually made from fermented grapes. However, it can also be made from other ingredients, such as fruit wines, rice wines, etc. The word ‘wine’ comes from the Latin vinum, which stands for "wine" or "(grape) vine". The earliest record we have of wine production, made by fermenting grapes, dates back to sixth millennium BC. Wine is made by crushing the grapes and straining them to get the juice. Yeast is then added to the juice and the solution is left to ferment. After fermentation, the wine can be either bottled or aged in barrels. It can also be aged in the bottle after packing. 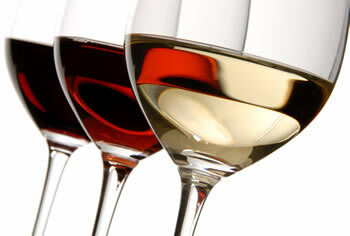 For all purposes, most people categorize wine into two types, red and white. Red wine is made from black grapes, while white wine is made from white grapes or the juice of black grapes. Grapes are rarely black or white, rather white grapes refer to lighter-skinned grapes that can be green, yellow-green, gold or light-orange. Blank grapes refer to grapes with a red or blue tint, and range from light ruby to a deep indigo. Currently, there are various different types of modern wine from France, Italy, Spain, the US, etc. Each differs in the types of grapes used, the type of yeast used, the fermentation process, and the age. Many people do not realize that Brandy and Champagne are in fact special types of wine, as rather at least related to wine. Brandy, short for brandywine is a sprit that is distilled from wine. After the wine is fermented, it can be further distilled to get a more concentrated form of alcohol. This is then known as brandy. The origins of brandy can be dated back to the development of distillation to ancient Greece and Rome. However, modern brandy can be dated back to the 12th century. The process of producing brandy requires fermenting the wine, fruit juice or grapes for 4-5 days after which they are distilled, using either pot-stills or column-still, before they are put into casks for aging. There is no set time required for aging as some fruit juices do not require aging. The aging process determines the color of the brandy; if it is not aged the brandy is colorless or clear and the longer it is aged the stronger the color of the brandy. 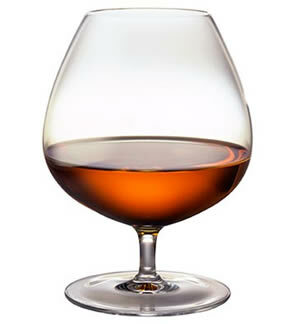 Some brandy may also be added with caramel to adjust the color and the flavor of the beverage. As Brandy is a distilled alcohol, it has a much higher alcohol content than the wine. Most wines have an alcohol by volume (ABV) content between 12.5% and 14.5%. Brandy, however, has an ABV between 35% and 60%. Brandies are made using grapes or any fruits that can produce a sugary juice. According to Encyclopaedia Britannica, brandy can also be used to refer to spirit made from pomace and other fermented fruit. However, if the brandy is made from any other fruit instead of grapes, many countries require it to be labeled as ‘fruit brandy’, ‘fruit spirit’, or the name of the fruit should be mentioned on the bottle. Champagne, on the other hand, is a special type of wine that is produced from grapes grown in the Champagne region of France. Champagne is a type of sparkling wine. It has carbonation that causes the wine to bubble. While, many people use the term champagne as a generic term to refer to any type of sparkling wine, officially, the term is used only to refer to the sparkling wine made from the grapes of Champagne. The process of producing Champagne is almost exactly the same as regular wine. Champagnes are made from black grapes that are grown according to special champagne appellation law in specifically designated plots within the appellation. However, they use only the juice of the grapes, discarding the pigmented skin and pulp. The juice is then fermented. However, sparkling wines require a second fermentation, which is what creates the carbonation in the wine. Champagne is often associated with the rich, nobility and royalty. This association came about in the 17th, 18th and 19th century, and ever since Champagne is used as a special drink that is often used to celebrate something. Wine is an alcoholic beverage made from fermented grapes or other fruits. Brandy, short for brandywine is a sprit that is distilled from wine, grapes and other fruit juices. Grapes are crushed into a machine, fermented and then stored for a period of time. The wine is distilled to get a more pure form of alcohol, and it is then aged in casks. Grapes are crushed into a machine, fermented, fermented ageing and then stored for a period of time. Natural wines may exhibit a broad range of alcohol content, from below 9% to above 16% ABV, with most wines being in the 12.5%–14.5% range. Fortified wines (usually with brandy) may contain 20% alcohol or more. ABV between 35% and 60%. Red Wine, White Wine, Champagne, etc. Italy, France, Spain, America, Argentina, Chile, China, India, etc. Bulgaria, the Crimea, Georgia, Georgia, Germany, Italy, Greece, Israel, Italy, Macedonia, Mexico, etc. Used as regular alcoholic beverage, often with food. Used as an after dinner drink. Used as a celebratory drink.